Pages are the main building blocks of courses. They are containers that allow you to add and arrange content, media, and activities. 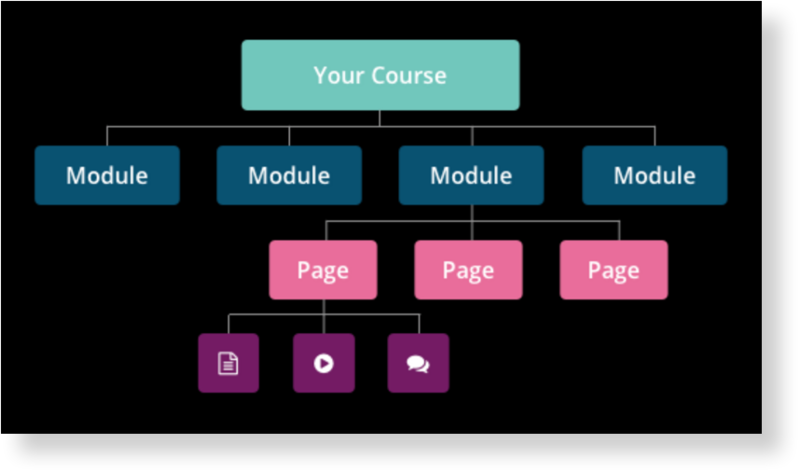 Use modules to structure your course. You can think of them as topics or chapters which cover a major learning milestone or a specific area of knowledge. Modules are made up of pages. To add modules and pages, go to Course Setup > Content on the navigation side-bar.